A couple can obtain a stipulated divorce by writing a stipulation, which is a binding contract between the two spouses. The stipulation explains all of the terms agreed upon by the two parties — for example, the stipulation may explain what the spouses plan to do with their property, whether either spouse will pay support to the other and what they plan to do for custody if they have children. The stipulation cannot leave out any contested issues that require a judge's decision. Wisconsin contract laws set several requirements for a valid agreement, and the spouses must meet these requirements when writing their stipulation. Both spouses must participate voluntarily when negotiating the agreement. Each spouse or each spouse's lawyer must sign the written agreement that explains all of the terms agreed upon by the spouses. A Wisconsin circuit court must review and approve the signed, written agreement before issuing a court order to officially end the spouses' marriage by stipulated divorce. Although spouses may agree on how to end their marriage and plan to get a stipulated divorce, they might still need to establish each person's temporary rights while they have a pending divorce case. Temporary orders cover the period between the initial filing for divorce and the date when the Wisconsin circuit court issues the final orders in the case. Spouses may submit a written stipulation for temporary orders as well as for the final order in their stipulated divorce. Spouses sometimes need temporary orders regarding child custody, visitation, financial support or use of marital property so that both spouses know what to expect while they have a pending case. If the spouses have an agreement, they can file a "Stipulation for Temporary Order" that asks the court to approve the agreed-upon terms. Spouses can choose to establish the terms of their divorce in a stipulation, but they must still file for divorce through a Wisconsin circuit court. If the spouses plan to proceed cooperatively, they can file a joint petition signed by both parties. The type of form required for a joint petition depends on whether the divorce involves children or not. If the spouses already have a written stipulation regarding all issues, they may include their agreement with the divorce filing. The spouses must file their joint petition with the court and pay the current filing fees unless they meet the income requirements for a fee waiver. Unlike in a contested divorce, the spouses may choose to waive the requirements for service of process because they have both already participated in writing and signing the joint petition. If the case proceeds smoothly, the court will generally grant their petition at a stipulated divorce hearing. Stipulated divorce may be an option when the divorce is amicable or spouses are willing to work together. However, a couple may need professional guidance before the spouses can agree to stipulated terms for their divorce. A couple may choose to meet together with a neutral mediator to negotiate their agreement. Alternatively, spouses may choose collaborative divorce with the assistance of lawyers if they both have professional representation. 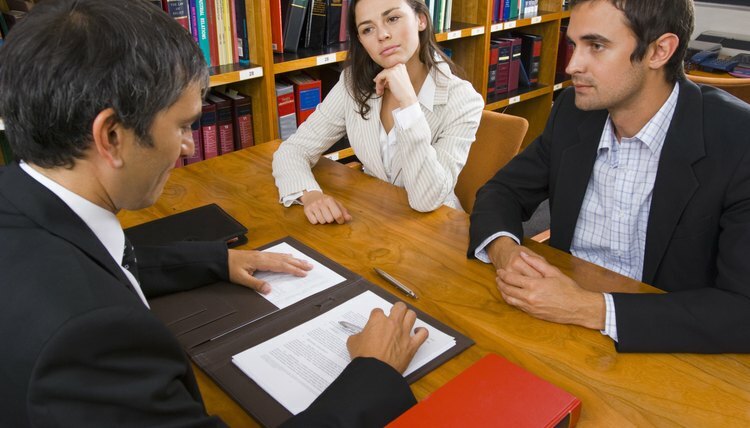 In a collaborative divorce, spouses sign a contract explaining that they will both honestly provide financial information when negotiating the terms of their divorce. If mediation or collaborative negotiations result in an agreement on all issues, the spouses can write their stipulation together and file a joint petition for stipulated divorce.